The term Climat is unique to Bourgogne, says their leaflet. It is the Burgundian expression of terroir. Weather, soil and exposure, combined with non-interventionist cellar practices is what make Bourgogne Bourgogne. It’s what makes Burgundy Burgundy. Twenty centuries of winemaking have taught them a thing or two in Burgundy since the Romans first planted vines there. They claim that Mediterranean influences to the south, continental influences to the north and oceanic influences to the west make for a vast and varied wine region, one with which none can compare. Of course, Bordeaux will take exception to that, as will the Rhône Valley, the Languedoc, Napa Valley, the Finger Lakes and the high plains of Texas. I mean, what kind of wine region would you be if you didn't think your dirt was the best? Native Burgundian Amaury Devillard (right) comes from a family that has owned vineyards in the Mercurey region of Bourgogne since the 12th Century. His father got a comparatively late start, waiting until 1934 to produce his wine. Devillard was in Los Angeles recently for a spate of tastings and met with me for a picnic in the park. He and Cécile Mathiaud (left), the head of PR for Bureau Interprofessionnel des Vins de Bourgogne, along with Sopexa publicist Marguerite de Chaumont Quitry brought wine, a fine spread and their magnetic personalities to brighten an ordinary Wednesday afternoon. Mathiaud offered a theme for the picnic when she said, "In France, food is as serious as wine." While Devillard and I moved to the end of the picnic table, where the wine was, to let the ladies set up the feast, she quipped, "Ah, as always, the women in the kitchen and the men in the cellar!" Devillard was here to, naturally, extol the virtues of Burgundy. He put a fine point on his effort, though, and emphasized the "hidden gems" of the region. "The mark of Bourgogne is balance," he said, referring to the scales of ripeness, flavor and acidity playing against each other. But he also wanted to show that there is balance at the checkout stand. "People think Bourgogne is expensive, but it does not have to be," he said. "These wines," he waved over the picnic table, "are quite affordable, very affordable, and they are excellent wines. You get a lot for your money." I always think of of Pinot Noir when I think of Burgundy. But actually, 61% of Bourgogne wines are white, Chardonnay. 29% are red, 9% are cremant and just a fraction are rosé. Two-thirds of the winemakers in Bougogne are small producers, says Devillard. Schooled in France, Devillard made wine in South Africa and worked in Spain for a while before returning to France to sell wine barrels. He later moved to New York and represented the Bourgogne négociant Antonin Rodet and has been back in Burgundy for eleven years, watching over the family’s domaines. Here are my thoughts on Devillard’s own wine, the Chateau de la Chamirey 2012 Mercurey. In the coming days, we’ll sample some of the other "hidden gems" of Bougogne that they brought with them. The Chateau de la Chamirey is a Chardonnay that is 50% steel aged, 50% oak. It sells for $30, which makes it one of the more expensive gems on the table this day. The nose is rich and funky, with a wonderful earthy aspect that balanced the fruit perfectly. On the palate, the limestone soil of the vineyard comes though plainly, with a flinty touch that I find irresistible in white wines. Devillard pointed out the "increased greasiness" of the wine, which I translated as an oily character - full and round. Columbia Crest dubs this wine "The first ever crowdsourced wine from vine to bottle." It was produced by folks who logged on to the website and told them how to make it. They set aside five acres of their Washington grapes in the Horse Heaven Hills AVA and let the people who are going to drink it make it. The website extols that the instructions were pretty simple. Complexity is a must, and soft tannins. Some oak was ordered, but only 30% new oak. Oh, and harvest the grapes at night while it’s cool, will ya? We also like about 14.5% abv, if you’ve got it. I’m sure there may have been some other grapes in the blend, too. I’d guess Cabernet Franc for starters. The 2014 vintage is being released this month on their website, and voting is about to end on what the 2015 should taste like. It’s a novel idea, if a little precocious and marketing-minded. Just like with Elvis fans, though, if you get enough wine lovers involved, they can’t be wrong. We sometimes hear that too many cooks spoil the soup. In this case, we have a lot of cooks throwing their two cents into the pot and coming up with a winner. This crowdsourced Cab is quite dark in color and lovely to smell. It shows dark berries and dark spice, with just a hint of pencil lead. The flavors are bold and follow along the lines of the nose. Tannic structure is great and acidity superb. It’s a big, purple bruiser, and there’s no steak that’s going to push it around. Living in Los Angeles, Santa Barbara is "our" wine region. A mere two hours north of L.A., Santa Barbara wine country offers nearly 200 wineries producing truly world class wines. We take a lot of road trips up there to visit Santa Barbara Vintners, so it was nice of them to return the favor and come down here. Santa Barbara County is home to the only transverse mountain range in North America, where the wind from the Pacific Ocean is channeled right across the Santa Barbara County Appellation. The sub-appellations - Santa Ynez Valley, Santa Maria Valley, Sta. Rita Hills, Ballard Canyon, Happy Canyon of Santa Barbara and Los Olivos District are distinct and varied. The region is also home to an unrivaled growing season with the aforementioned coastal influences giving great grapes a place to thrive. Pinot Noir, Chardonnay, Syrah, Grenache, Roussanne, Marsanne, Viognier, Sauvignon Blanc, Merlot, Cabernet Franc, Cabernet Sauvignon and more are found in Santa Barbara County. Santa Barbara Vintners brought their best to Los Angeles for four days in May. Instead of overwhelming us with close to 50 different varieties at one tasting, each day was broken down into a specific wine theme for more focus. Monday was given to Chardonnay, Tuesday Pinot Noir, Wednesday featured Rhone varieties and Thursday gave us the Bordeaux grapes. Doug Margerum stole the show this time. His 2015 Margerum Riviera Rosé, San Luis Obispo and Santa Barbara county, are a Grenache blend, bone dry and beautiful with big cherry notes. The 2014 Margerum M5 Santa Barbara County shows ripe red fruit with an herbal quality running underneath. Margerum served it chilled and showed how great this wine would be for summer BBQs. At the Core table, Becky Corey poured for me. She poured when I visited the tasting room, too. I don’t know if husband Dave is avoiding me, or what. Their wines are riddled with lovely floral, lavender and clove notes. The 2008 Core Mister Moreved is 94% Mourvèdre and 6% Grenache from Santa Barbara County. It’s smooth, dark and musky. The Fess Parker table is always a great stop. The 2013 Fess Parker Viognier, Santa Barbara County shows some fantastic earthy tones. The 2012 Fess Parker Rodney’s Vineyard Syrah, Santa Barbara County is smokey, earthy. Ross Rankin's Imagine Wines have a non-vintage Melange that is awesome, full of spice and red fruit. The 2007 Imagine Winged Paradise Mountain Syrah, Santa Barbara County got a one-word explanation in my notes: "Silky!" Jaffurs Wine Cellars' Craig Jaffurs poured his 2015 Viognier Bien Nacido Vineyard Santa Maria Valley, displaying grapefruit and flowers. The 2013 Jaffurs Syrah Santa Barbara County is elegant. The Central Coast Group Project is headed up by Scott Sampler and he has produced a very pretty 2012 Santa Barbara County GSM and a 2012 Names Syrah from White Hawk Vineyard. He produces his wine at a collective in Buellton, the Buellton Bodegas. Andrew Murray again has scored with his Esperance GSM. It is extremely elegant. The 2013 Foxen Syrah shows a funky nose, and a palate that is excellent and very smooth. Here's what I found at the Chardonnay tasting. Jim Clendenen’s Au Bon Climat Chardonnay stole the show. I don't remember what Clendenen's quote was about, but he said, "Only cuz I can," which is a great winemaker quote, even taken out of context. His 2013 Au Bon Climat Chardonnay Nuits-Blanches Au Bouge, Santa Maria Valley has a full mouth and great flavor. The Los Alamos and Bien Nacido Vineyard Chardonnays are sublime. Brewer Clifton's wines all had great acidity. Their 2012 Brewer-Clifton 3D Chardonnay, Sta. Rita Hills is a standout, with tropical fruit and lemon showing prominently. Foxen's Jenny Williamson Doré was kind enough to pour for me her 2013 Foxen Chardonnay Tinaquaic Vineyard, Santa Maria Valley. A dry farmed, Wente clone with amazing salinity and minerality. Cambria Winery's 2014 Cambria Benchbreak Chardonnay, Santa Maria Valley had its lees stirred and shows some pretty funky, savory minerals. The 2014 Pence Sebastiano Chardonnay, Santa Maria Valley shows some great, savory fruit. Qupé’s Bob Lindquist wowed the crowd with his 2013 Qupé Chardonnay Bien Nacido Vineyard Reserve, Block Eleven, Santa Maria Valley. It's very savory, has a lovely salinity. The 2013 Sanger Family Chardonnay, Santa Ynez Valley is perhaps a little unusual coming from the warmest part of Santa Barbara County. Aged 16 months, the wine has a really nice, savory edge. 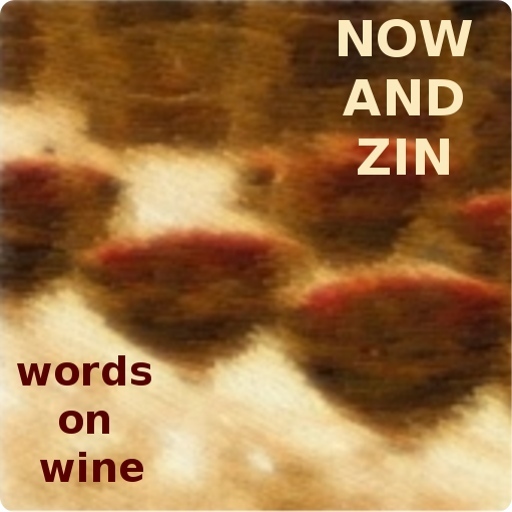 There’s nothing like a good Zinfandel, except maybe a great Zinfandel. There were plenty of the former, and a few of the latter, on display at Elevating Zinfandel, a tasting event put on recently by Los Angeles wine educator Ian Blackburn through his WineLA. First, the highest points, then the "merely high." When I think of the Zinfandels I really like to drink, Turley Wine Cellars comes to mind first. They draw grapes from a variety of California vineyards, a listing of which reads like a “Who’s Who” of grapevines. Turley Kirschenmann Vineyard, Lodi 2014 - Planted in 1915. Beautiful red cherry. Turley Dusi Vineyard, Paso Robles 2014 - Elegant, possibly the best Paso wine I’ve had. Turley Rattlesnake Ridge, Howell Mountain 2014 - Extremely elegant and smooth. Ridge Vineyards is another name that Zin lovers know and revere. Ridge Geyserville Zinfandel Blend, Alexander Valley, 2014 - Very dark, spicy with pepper and red and black cherry. It’s a true field blend, with different gapes commingled in with the Zinfandel, right in the vineyard, all picked and crushed at the same time and co-fermented. The rep told me there were "too many different grapes in the wine to fit on the label." Beekeeper Cellars is the creation of our host, Mr. Blackburn, right. I remember telling him two years ago that his Zin could knock an unsuspecting Cab off of any steakhouse wine list. And it’s just getting better. Beekeeper Madrona Spring Vineyard, Rockpile 2013 - Smoke ‘em if ya got ‘em. The nose on this one sure is. Beekeeper Montecillo Vineyard Sonoma Valley 2014 - Dark and savory with an herbal edge and lots of pepper. A favorite of mine. Beekeeper 2012 Reserve is tasting better all the time. All the others poured admirable wines, too. Here are my favorites among them. Dry Creek Valley Zinfandel 2013 - Shows spearmint. Evangelho Vineyard Heritage Wine 2014 - An excellent wine. From Oakley, 120 year-old vines. Another field blend. Chaos Theory - Zinfandel/ Cabernet Sauvignon/Petite Sirah blend. Spicy nose with pencil lead. Big red fruit flavors, spice. Elegant and structured. Clay Mauritson, left, is on the winemaking team at Beekeeper, too. His Cemetery Vineyard, Rockpile 2014 shows green pepper in a savory, herbal setting. Zinfandel Rosé, Hayne Vineyard, St Helena 2015 - Bone dry, definitely not white zin. Blocks 7 and 22, Napa Valley 2013 - Clone 2 Zinfandel. Strawberry jam. Sweetwater Springs, Sonoma Valley 2012 - Savory, earthy lavender. Silky smooth. Vellutini Ranch, Russian River Valley, 2012 - Very appealing light color. Floral berries, spice. Flight 2013 - All Zinfandel. Smokey, red, savory. Grande Vineyard, Napa Valley 2013 - Vines planted in 1920. Outside the Oak Knoll District. Dark and savory. Rockpile, Sonoma Valley 2013 - Subtle and elegant. Gil Family Estates is celebrating their 100th birthday this year. The bodega was founded in 1916 by Juan Gil Jiménez in Spain’s Jumilla region, in the southeast, close enough to the sea to get a Mediterranean influence. Four generations have made wine there, and they keep getting better at it. They actually have vineyards in eight of Spain’s appellations, so they can show off as much terroir as you like, maybe more. I was lucky enough to be invited to a special winemaker's portfolio tasting in Los Angeles in a private room at The Bazaar by José Andrés. Members of the family and winemaking team were on hand and presented two of their lines, Clio and El Nido, in a vertical tasting. I think I was supposed to be at "the press table," but I got there late and was directed to the meeting of sommeliers. It was lucky day for me. I also got a great parking spot. Clio is 70% Monastrell - Mourvédre, if you prefer - and 30% Cabernet Sauvignon. El Nido is the reverse, with Cab taking top honors. Both wines get about two years aging, in French oak for the Cab and American for the Monastrell. El Nido is aged in smaller barrels than Clio, and they recommend aging in your cellar for 15 to 20 years. The wines come from the partnership between the Gil family and Australian winemaker Chris Ringland. Grapes are grown at the highest spot in the area, at an elevation of about 2400 feet. Further north in Spain, that might not be possible, but the sea’s influence in Jumilla tempers the cold at that height. They dry-farm at Juan Gil, not that they have much choice. Southern California, even in a drought, is a tropical rain forest compared to the precipitation the weather reports allow for in Jumilla. The roots of the old vines have to dig through three feet of solid limestone to get a drink. That’s terroir. Loren Gil said that just 20 years ago "it was not possible to think of wines of this quality from Jumilla." Things have really changed. Gil mentioned that the biggest market for their wines is the U.S. Second is Canada, third is Switzerland. Spain, he was proud to say, has just moved up to become their fourth biggest market. I’ll go through the wines they way they poured them, younger to older. Clio 2011 - Big red and black fruit is layered with a floral aspect that is quite pronounced. The tannins are a little toothy yet, but not to distraction. And that will change. Clio 2009 - Beautiful nose, fruity and floral., with blackberry, lavender and a savory edge. Very concentrated aroma and flavor. Great structure with enough tannin, but not too much. Clio 2007 - A more earthy nose. More savory, too. Extremely smooth. Black fruit is more pronounced. They say the vintage was not a favorite, with rain at the close of harvest. It did not hurt the wine at all, though. Clio 2005 - Very savory nose, with bramble, black fruit and a vanilla note coming out. Savory palate, even smoother. Bacon fat appears, the most savory of the lot. Clio 2003 - Savory aromas of meat are really coming on, but there is still much dark fruit showing. Lots more vanilla here. Structure holding just fine. Palate is tasting very fruity but the dark, savory notes are becoming more vocal. El Nido 2011 - Very dark color. Nose showing oak spice. Great acidity, extremely smooth with fantastic structure. El Nido 2009 - Very dark again. Nose has black and blue berries and a floral aspect, rather perfumed. Very savory edge to the dark fruit flavors and quite smooth again, with great acidity. El Nido 2007 - Beautiful smokey nose with very dark color and fruit. Very savory palate with nice tannins and juicy fruit. El Nido 2005 - Smoke is giving way to bacon fat on the nose. The palate is blue and black fruit. Structure is very defined. Aromas and flavors show age, structure does not. El Nido 2003 - Color is dark. Nose shows a tad of smoke, very savory. Palate strong with dark fruit, oak is nice, less savory than earlier vintages. Great structure, still with very firm tannins. Great label. The Lady on the Bicycle is an homage to women's freedom during the Belle Epoque, when bicycle sales in France flourished prompted by the suffrage movement. Susan B. Anthony noted that bicycles gave women the ability to leave the home to work and vote. Cycles was just one bicycle company that “plastered Paris with posters” depicting free and liberated women on bikes au naturel. Winemaker Adam LaZarre says he grew up in New York’s Finger Lakes area, but not until a U.S. Navy stint in Seattle did he get the wine bug. He started Cycles Gladiator in 2005. LaZarre’s creative tasting notes brought forth some online comment, and he tweeted that he used to write them while drinking tequila. "I don’t do that anymore," he wrote, "I changed to bourbon." LaZarre calls this "little Merlot monster" a "fruit-driven cherry bomb of a wine." The alcohol is fairly restrained, at just 13.9% abv. The fruit was nearly all grown in the Livermore Valley, and there are smidges of Cabernat Sauvignon and Syrah in it. It was aged for 16 months in French and American oak. The nose of the Cycles Gladiator Central Coast Merlot 2014 gives off a telltale funk, belying the Syrah, especially after a few days open. The fruit is dark and moody and there are notes of spice and a sweet smell, like burnt caramel, on the nose. The sip is powerful, belligerent fruit and brawny tannins, so don’t be shy. Cook a big, dirty steak and throw it on a plate next to a glass of this. Lodi, California never ceases to amaze me in its efforts to prove itself worthy of inclusion in the the Great Wine Region discussion. Generations upon generations of agriculture flows through the Mokelumne River, and the growers like to proudly stand in the delta dirt and talk about how Lodi wine has grown up. Lodi has worked tirelessly to throw off the "jug wine" perception, work that probably started when they rebranded themselves from the "Tokay Capital of the World" to the "Zinfandel Capital of the World." The Lodi wine industry stepped up so bravely that it was was recognized as Wine Region of the World by Wine Enthusiast magazine in 2015. 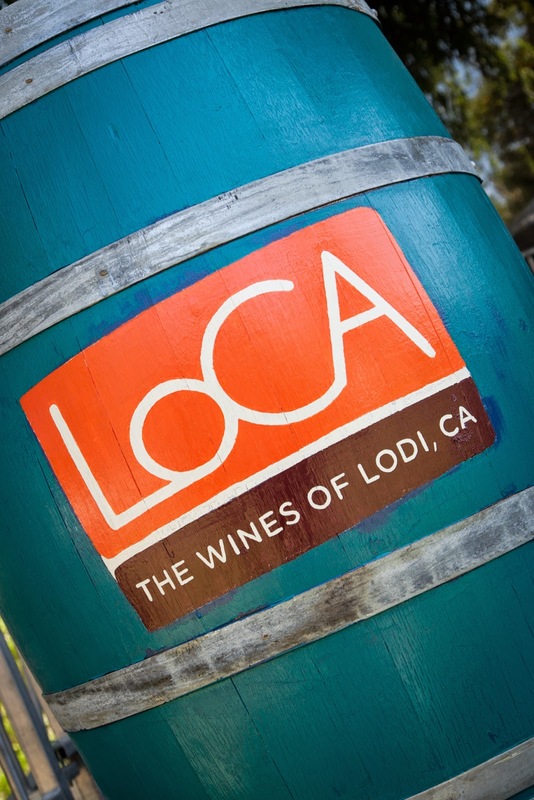 The folks at LoCA, the Wines of Lodi, work with Brandlive to periodically stage virtual tasting events designed to get a few dozen wine writers excited about the region’s wineries. 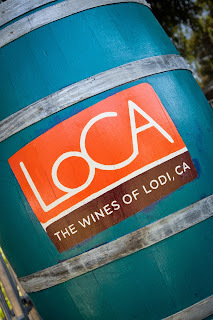 They needn't try so hard - we are already excited about Lodi. So much so that the annual Wine Blogger’s Conference 2016 is set to be held there in August. The most recent virtual event focused on wines made from grapes in Lodi's noted Mokelumne Glen Vineyard. In case the word looks unfamiliar to you, or even if you think you have it figured out, Mokelumne is pronounced Mo-KUL-uh-me, according to the vineyard's website. Once again, the event was hosted on a video feed by Stuart Spencer, owner and winemaker at St. Amant Winery and Program Manager at the Lodi Winegrape Commission. On either side of him were Markus Niggli, winemaker at Borra Vineyards and Markus Wine Company and Brett Koth, Vineyard Manager at Mokelumne Glen Vineyards. I was provided with samples of the wines for the purpose of the event. Mokelumne Glen Vineyards is a small, family-owned vineyard specializing in grape varieties that originated in Germany and Austria. They are in the Lodi Appellation as well as the Mokelumne River sub-appellation. There are more than 40 different grape varieties growing in their sandy, granitic soil, including Riesling, Kerner, Gewürztraminer, Zweigelt and Bacchus. The last one, I had never even heard of until this event introduced it to me. Their collection of vines is reported to be the largest gathering of German and Austrian grapes in the U.S.
Koth spoke knowledgeably on his grapes, while Niggli offered his take as a winemaker who uses their fruit regularly. The vineyard only sells their fruit to a handful of vintners, so Niggli feels fortunate to get his hands on some. The grapes involved in this tasting are largely thought of as cool-climate grapes, while Lodi has a warm, Mediterranean climate. Koth told us, however, that it’s cooler than people think where his grapes grow because of the delta effect and the proximity to the river. “Temperature fluctuation is the key, “ to maintaining these varieties, he said. That and early picking to ensure the high acidity for which the grapes are known. An earthy white wine, what could be better? Whites need to be earthy, I feel. Terroir gives them character in a much more visceral way the with reds. Winemaker Jason Holman is based in Napa, and the Holman Cellars "micro-winery" produces wines in extremely small lots. They like to make great wines from forgotten grapes. Forgotten? As I said earlier, I never even knew about Bacchus before this. The grape represents only 2% of Germany’s plantings, so it is apparently not that well-known even over there. They made 45 cases of this 100% varietal wine, which is about two barrels worth. The three days of skin contact is followed by stainless-steel fermentation. It’s a pale wine and has an earthy lanolin note on the nose. There’s a waxy quality on the palate that fits well with the apricot and nutmeg shadings. The acidity is very good in this most unusual wine. I thought it reminded me somewhat of the Symphony grape, but more muscular and not as sweet. Markus is Niggli’s own label, and the name NIMMO originated from his time in Perth, Australia. When he was new there, he remembered his way home by making a word of the first letters of the streets he needed to travel to get there. Australia plays a big part in Niggli’s career - it’s where the Swiss native was bitten bu the wine bug. Gewurz and Riesling in oak? Brett was shocked when he heard Niggli’s plans for those grapes, but he says the winemaker convinced him to "get on board." Native yeast “brings higher alcohol at lower brix,” says Niggli. He says he thinks of the Kerner grape as "the unknown," and was intrigued by it enough to use it as the base for this wine. Three days skin contact before vinification gives good color, made richer by the use of oak. The pale golden straw color is appealing, while the nose certainly isn’t scaring anyone away. Clean earth notes define the apple, papaya and lime aromas beautifully. The palate shows off-dry pear, apple and Meyer lemon flavors on a bed of acidity. Finishing long, it’s the earth and citrus that stays around after the sip. The wine’s body makes it a lot more versatile that just "salads and sipping." Niggli recommends you pair it with anything off the grill. Hatton Daniels Wine Cellars is the result of several wine enthusiasts putting a winemaker’s skill to good use. The website shows that winemaker Dan Fishman also creates the bottlings of the Donum Estate and Stemmler, but with Santa Rosa-based Hatton Daniels he works with small vineyards to produce elegant, focused wines. The vintners say this Zweigelt is "vibrant and alive," and is "meant for drinking in large, glorious quantities." They also say it’s a zero-sulfur wine, which some claim prevents hangovers. They say they make "no claim in this regard, but further study is recommended." Only 72 cases were made. This wine is a tart little blast of cool-climate German grape, grown in Lodi. The earth that shows on the nose is mind-blowing. Raspberry fruit, oh yeah. Coffee grounds? Yep. Cola? Mm hmm. Meat? There’s some of that. The palate shows just as savory and just as dark, with tart berries, black tea and pepper. For those who didn’t take four years of French in high school, and for those who did but have forgotten most of it, Belle Etoile Blanche means "beautiful white star." The m2 wines late-harvest dessert creation blends four German grape varieties grown in Mokelumne Glen Vineyard , 35% Rieslaner, 25% Weissburgunder, 20% Riesling and 20% Gewurztraminer. This wine is naturally sweet and is not fortified. Three months fermentation was accomplished half in neutral French oak barrels and half in a stainless steel tank. Alcohol is light, at 13.3% abv and there is less than 10% residual sugar. Layne Montgomery is the winemaker, and he had the grapes picked as late as the first day of November and whole-cluster pressed to add character to the flavor. Koth notes that it’s the only sweet wine produced the grapes of his vineyard. The consensus seemed to be to pair this wine with any "stinky cheese" you prefer. M2’s Belle Etoile Blanche is a delightful dessert wine that is pleasantly sweet without overdoing it. The nose is honey and apricots, while the palate shows a crisp and acidic palate that draws a line against cloying and stands well apart from it. The fruit is clean and ripe - certainly - and leaves a citrus and stone fruit finish after the sip. This will pair with cheese in a heartbeat or a fruit tart in about the same time. Sweden has given us some great gifts - Ingmar Bergman, Absolut vodka, IKEA - and some which are not so great - Dancing Queen, Pippi Longstocking, IKEA. Scandinavian beers have never excited me too much, vodka leaves me shaken not stirred and wine is almost nowhere to be found in Sweden’s upper latitude. A company named Rekorderlig offered me a taste of their flavored hard cider, and I liked it even though I am not usually wowed by flavored alcoholic beverages. My wife, who favors sweet drinks a bit more than I, loved it. Rekorderlig was created more than two decades ago at Åbro brewery in Vimmerby, just outside of Stockholm. Its promoters say it is delicious straight from the bottle, over ice with fresh fruit or mixed into cocktails, and they are right. They suggest pouring their Strawberry-Lime hard cider over ice, garnished with a lime wedge. Spilling some vodka or gin into it is perfectly alright. This beverage has a beautiful red color with a hint of orange, which makes it look very strawberry-like in the glass. The nose is a big strawberry festival all its own, and quite a natural one at that. It doesn't have the candy-coated Jolly Rancher aroma, but one of real strawberries and stems. The sip shows delightful fruit - no real complexity here - with that lime flavor making an appearance. We'll touch again on Bella Grace Vineyards, located in the Sierra Foothills in Amador County. The family-run business produces wine from 12 grape varieties harvested there, and they also have three types of olives growing on the estate. One of those grapes is the Italian variety, Barbera. I like the expression that the Cal-Italia grapes give in other California regions, so I was anxious to try the terroir of Amador County. Both wines were made available to me for the purpose of this article. This half and half blend of Barbera - sourced from several vineyards in Amador County - and their estate Zinfandel - was made in very limited quantity, just 360 cases, and it retails at $23 per bottle. The 14.5% abv alcohol number looks ripe and ready. And so it is. A nose of red berries, mocha, licorice and pepper lead to a tempting palate of bright red cherries, chocolate and an earthy cloak in which it tries to hide. This wine cannot conceal itself, though. It’s bright and playful while remaining sincere and balanced. Several vineyards in Amador County contributed to this varietal wine. The alcohol is again a rich 14.6% abv and it has a $30 price tag. 860 cases were made. The wine has a rustic nose that bears a bit of tar, a bit of bramble and a bit of spearmint. The oak on the palate is sweet and tasty with generous red fruit and holiday spices. The tannins grip enough, but not too hard. The finish carries some rosemary to a lengthy end. Roasted chicken and potatoes, with the potatoes burnt just a bit is what you want with this. The Réserve version of Randall Grahm’s flagship wine is aged en bonbonnes, which means it is aged not in oak but in glass carboys, or, less elegantly, jugs. It is also aged sur lie, or in contact with the used-up yeast cells that gave their lives making alcohol. We salute them. The former insures that you are tasting all fruit, the latter that it’s got a creamier mouthfeel than the normale Cigare. As Grahm explains, "The Réserve has a slightly different texture than the 'normale,' tannins not quite as firm, rather softer, plusher and more velvety, with enhanced mouth feel and a slightly more savory aspect." The varieties are 37% Mourvèdre, 34% Grenache, 20% Syrah and 9% Cinsault picked from eight Central Coast vineyards, Ventana, Del Barba, Rancho Solo, Evangelho, Bien Nacido, Alamo Creek, Bechtold and Gonsalves. At 14.5% abv, the alcohol is noticeable, but not an intrusion. 966 cases were made, and it retails normally at $79 per bottle. There was a pretty big sale going on, last I checked. Le Cigare Volant Réserve is as fresh as a just-picked daisy. The nose full of ripe red fruit shows a touch of spice, while the palate seems even more youthful and exuberant. That’s something I might expect in a wine produced just last fall, but this one was made five years ago. Cherries, raspberry and blueberry cover the fruity side, while leather, spice and earth handle the savory lifting. It is an amazing wine, one of my favorites for the four vintages it has been produced.